The medication Dostinex is mainly used for treating symptoms of disorders causing overproduction of the hormone prolactin. As a brand name for cabergoline, Dostinex is manufactured by Pharmacia and Upjohn Company. 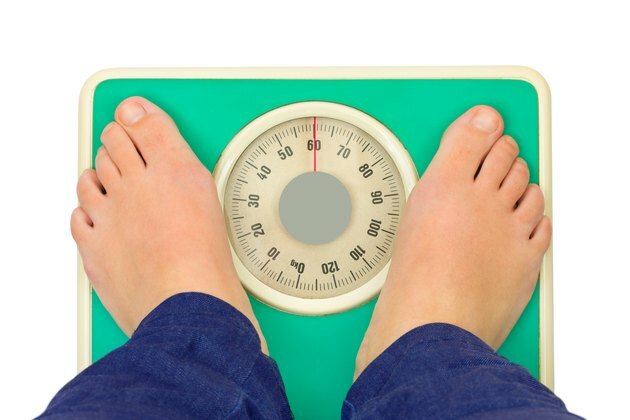 Some people lose weight when taking Dostinex, which might be due to side effects. As of 2010, Dostinex is not intended as a weight-loss remedy. Excessive prolactin in the body can cause menstrual irregularities, infertility in both men and women, and abnormal production of breast milk in both men and women, a disorder known as galactorrhoea. Dostinex can relieve or reduce these symptoms. Cabergoline is classified as a dopamine receptor agonist. It works by blocking the production of prolactin and the secretion of it from the pituitary gland. Once prolactin levels are normal for six months, the patient can usually stop taking this medication. Common side effects of Dostinex that can lead to weight loss include abdominal pain, gastritis, indigestion, nausea, vomiting, dizziness and headache. Nausea affects more than 10 percent of people using this medicine, according to NetDoctor. Some patients also experience constipation, weakness, tiredness, drowsiness and lightheadedness. Drinking alcohol or taking Dostinex during hot weather or while exercising can worsen the side effects. A letter to the editor of Obesity, the official journal of The Obesity Society, from colleagues at the Department of Medicine, Columbia University College of Physicians and Surgeons, regarding cabergoline and weight loss, was published in November 2003. The authors observed weight loss in some patients taking this medication. Five patients lost 5 to 10 percent of their initial body weight and four patients lost even more. The authors explain that another type of dopamine receptor agonist has been associated with weight loss as well, and side effects of nausea and vomiting may or may not be the reason. They speculate cabergoline might be effective for weight loss therapy and recommend further investigation. More rare but serious side effects are connected with Dostinex. A severe allergic reaction is possible, with symptoms of a rash, hives, itching, breathing trouble, and facial or mouth swelling. Although the incidence is low, some people taking cabergoline have developed a fibrous thickening of the exterior lining of some internal organs. This can cause shortness of breath, coughing, pain in various parts of the body and leg swelling. Dopamine receptor agonists such as Dostinex increase the amount of dopamine in the brain. This can lead to behavior changes including gambling and heightened sexual urges.